Walter was ‘In Conversation‘ last week with Professor Philip Cowley dahn the East End of London, at Queen Mary University. To be fair, he wasn’t quite as awful as I was expecting and, as with most politicians, he can field questions with an air of authority quite at odds with his rudimentary understanding of a subject. So it is with poverty in the UK. The first question from the audience was a good one: noting that poverty in the UK had over the past 8 years “gone up massively”, affecting 20% of the population, particularly children, did Walter agree that Conservative policy was to blame, and what would he do about it? 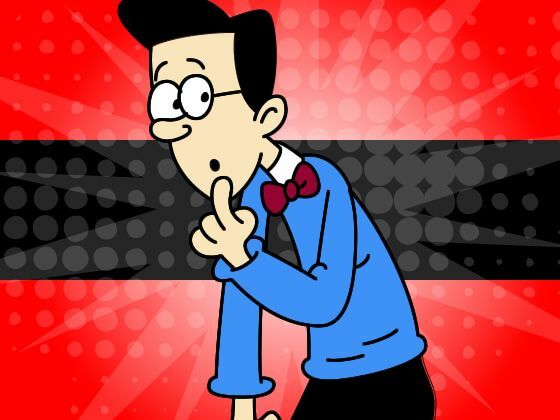 The questioner may have been basing his question, at least in part, on data from a report published in December 2017 by the Joseph Rowntree Foundation (JRF). Walter’s reply was interesting. He started by establishing his authority to pronounce on the subject, offering a technical distinction between relative and absolute poverty. Very good, top marks, this guy knows what he’s talking about. Then he rebutted the central claim but focusing only on the latter: “absolute poverty has continued to decline in this country”. people in absolute low income – living in households with income below 60% of (inflation-adjusted) median income in some base year, usually 2010/11. 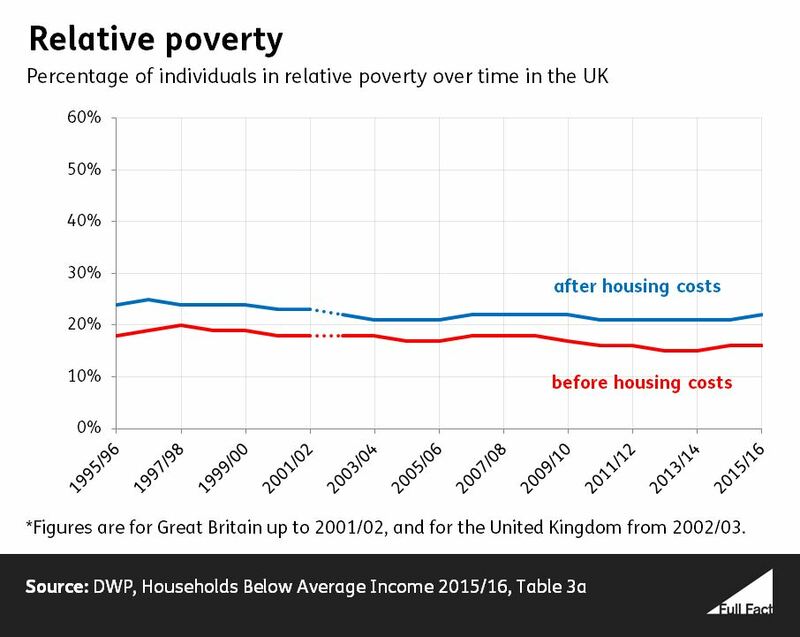 There are a few things to say here: first, the data suggests that poverty has not increased “massively” as the questioner asserted; second, the decline in absolute poverty to which Walter alludes took place throughout Labour’s term in government, 1997-2010. Since then (i.e. 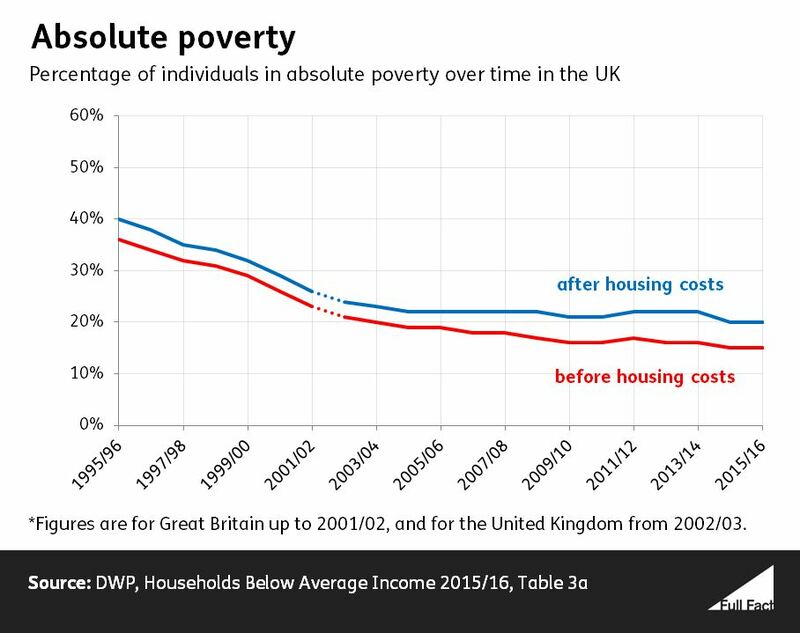 throughout the Conservative Party’s current stint in power), absolute poverty has, on the whole, declined only very modestly. Indeed, with the exception of working-age adults without children, since the Conservative party took power, relative poverty has increased for all other groups. Which is why, presumably, Walter preferred to focus on absolute poverty in his answer. Previous Post Suppose for a second that you thought the Sustainable Development Goals were a bad idea. Next Post How does Coca-Cola do it? Rees-Mogg also offered an opinion on inequality at this event. “Inequality”, he stated, “is at its lowest since 1985 in this country”. He doesn’t give away any further information about inequality of what, but if we have a look at the data on income inequality, then clearly Walter is way, way off in his assessment. The equality trust, for example, provide a nice chart of inequality in the uk from 1961 to 2015/16 using the gini coefficient (GC). https://www.equalitytrust.org.uk/how-has-inequality-changed. In 1977, just before Margaret Thatcher came to power, the GC was 0.24 (0 = perfect distribution; 1 = all income is in the hands of one person). In 1985, midway through her term in office, it had risen to 0.28 and then continued its upward trajectory to 0.34 at the time of her departure as leader in 1990. Since then, it has remained within the 0.34-0.36 range. Their take home message is that income inequality has risen. So it’s really hard to understand why Walter feels confident to claim that inequality in the UK is at its lowest since 1985 when all the evidence suggest quite the opposite.